On top of her diversified international experience, Isabelle Mathieu strongly believes that having the right attitude has made all of the difference in her successful career as a financial director. She is committed to being a reliable, valuable asset to the teams she works with, and to making sure that all of the goals of a project are met. To ensure she is always at her best, she regularly goes back to school and develops her knowledge. 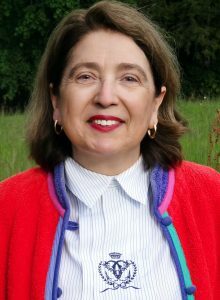 Ms. Mathieu attended the ESSEC Business School in France in 1979, and earned a master’s degree in international economics in 1981 and a specialization for executives in business management strategy in 1994. She proceeded to obtain an executive master of advanced studies in international taxation in Switzerland in 2013, as well as a certification in a high-level executive program dedicated to corporate governance. Ms. Mathieu is currently using her background in her role as the international financial director of Bameo, an affiliate of the Vinci Group and Meridian Infrastructure Fund. There, her responsibilities include running big projects on an international basis, including the creation and development of new structures, especially holdings and JVs, and practicing corporate operational finance and management of financial and tax risks. Ms. Mathieu is also tasked with managing multi-cultural teams comprised of local and multi-locals of up to 30 people and up to 12 multiple sites. This type of work has allowed her to gain familiarity with institutional environmental interaction and with implemented financial processes, and to garner hands-on experience with countries like France, Sweden, Netherlands, Italy, Singapore, and Uruguay. Due to her dedication and knowledge, she is often asked to run big, international projects. ​The highlight of Ms. Mathieu’s career thus far was having the opportunity to develop a fully international profile through work assignments in EDF (Electricity de France) and the Thales Group, a French multinational company that designs and builds electrical systems. Looking back, she attributes her success to her ability to obtain support from key people in different organizations. Some of her notable affiliations include the ESSEC Business School Alumni Association, the CFO Network, ESSEC Administratrices et Dirigeantes, and the Women Leaders in Infrastructure. In recognition of her services, Ms. Mathieu received an award from the business adviser to the French Embassy in Sweden, Uruguay, Netherlands and Singapore from 1996 to 2007. Moving forward, she intends to continue on her path of excellence and to face new challenges head on. She is interested in taking care of the financial interests of non-European stakeholders who are willing to develop business in Europe by becoming an independent board member of a chief financial officer with the right connections. She hopes to be remembered as a collaborative person who made a difference to her peers. When Ms. Mathieu has spare time, she enjoys photography, traveling, cooking, and agricultural field trips.